The Leadership Recognition Award is designed to honor an outstanding leader, group or organization withni the Ozaukee County 4-H Program. Nominees for this award should be current 4-H’ers, leaders or families and their involvement and leadership in the Ozaukee County 4-H Program should demonstrate a willingness and drive to consistently excel at performing their regular 4-H leadership responsibilities. 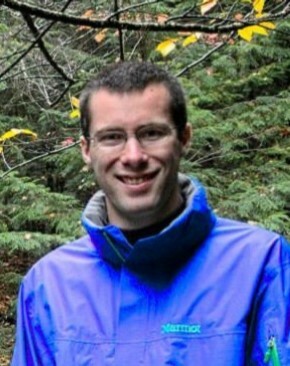 Aaron Brown graduated from the Ozaukee 4-H Program in 2008. 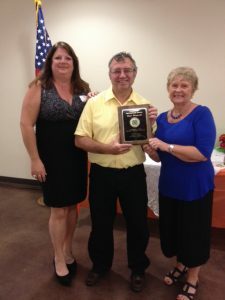 He continued his “4-H Story” by immediately becoming an Adult Leader! He has served as a Photography Leader for Holy Cross 4-H and also helps evaluate Record Books. Aaron has volunteered with many Countywide 4-H Events & Activities such as Parking at the 4-H Haunt and as a 4-H Camp Counselor. He was elected to the 4-H Leaders Board, where he has held the challenging office of Treasurer. He has also served on the Selection Committee for Trips, Scholarships & Awards numerous times. He has evaluated countless Applications, Resumes & Interviews. Aaron is always excited to hear the youth share their 4-H experiences, and he always gives encouraging feedback. On the State Level, Aaron also served as the Assistant Director for the Wisconsin 4-H Press Team and is a certified judge for Photography and Computers. Aaron’s passion & involvement for 4-H knows no borders…he also helped plan and lead the first ever 4-H Haiti National Youth Leadership Conference in 2016 for 96 participants, with hopes of returning for a second Conference. Aaron is very patient, positive and insightful. His enthusiasm for 4-H is obvious and contagious! Aaron Brown is definitely a deserving recipient for this year’s Leadership Recognition Award. Congratulations! Diane has been a part of 4-H in Ozaukee County for pretty much her entire life. She grew up as a 4-H’er and has been a Co-General Leader of Holy Cross 4-H Club for the past 25 years. 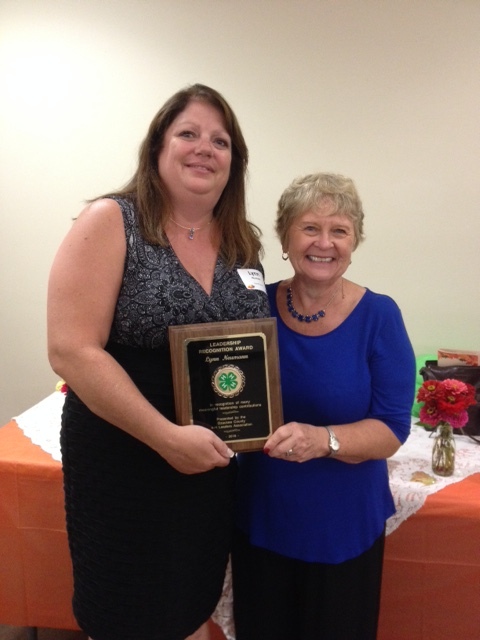 Diane has served 2 terms on the Ozaukee County 4-H Leaders Association Board. She was instrumental in facilitating the changes in the Clover Café when it moved to it’s present home in the Pavilion. Diane originated the committee to start the North 4-H Open House held each year in Fall. She is active with her club in helping with the Haunt each year by providing delicious meals and snacks for the entire crew. Diane is a member of Divine Savior Catholic Church where she is an Eucharist Minister and also the Funeral Luncheon Coordinator. She is an active committee member for the Ozaukee County Dairy Promotion by helping with many cheese tastings each year. She is an annual volunteer for the Disabled Vet’s Fishing Outing each year and a member of the Fredonia Garden Club. Diane is employed at Appleland and the family farm, Sandy Loam Dairy Farm in Fredonia, where she resides with her husband Don and daughter Heather. In her spare time, Diane enjoys spending time growing flowers and veggies in her garden. She loves to crochet and jokes that one of her additional hobbies is “working”. Diane is very passionate about the program as evidenced in the hours and years of commitment she gives to the program. She is always willing to help in any way. She is a strong advocate for our youth and her passion has always shined through. Congratulations Diane on being a 2018 Leadership Recognition Award Recipient! Michelle has been a 4-H leader in Ozaukee County for 13 years. Michelle has dedicated herself to several different areas of leadership. 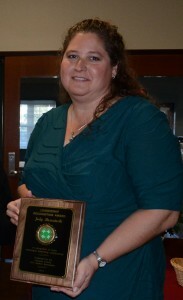 Michelle has served on the Leaders Association Board, and as a project leader for Town & Country 4-H Club. She willing volunteers to help with many various countywide committees. She has worked with the petting area at Bunny Breakfast, helps with the Jack-o-Lantern Jamboree, and can be found backstage at the Variety Show. Michelle has been a leader in the Dog project for all of her 13 years as a leader. In that time she has served on the board, taught showmanship and recently has been instrumental in bring a new facet in to the dog project as she began an agility program. Another area of leadership that Michelle is key in is 4-H Summer Camp. At camp, Michelle wears many different hats and is always willing to pitch in where necessary. Some of the roles Michelle has held in the past are dining room coordinator, waterfront supervisor, snack coordinator, and has helped in the arts and crafts area also. Michelle makes daily trips to town to pick up supplies needed for all areas of programming. In the past several years Michelle’s passion for The Haunt has been evident. When the former coordinators stepped down, Michelle stepped up and committed her leadership to continue this fundraiser. Michelle worked countless hours with the planning committee, helped to set up and take down The Haunt, coordinated volunteers, and organized costuming and make-up. The effort and time Michelle commits to The Haunt is amazing and her dedication in 2016 helped raise nearly $30,000 for Ozaukee County 4-H.
Congratulations on being the Leadership Recognition Award Recipient. Lynn Hoffmann Neumann began her 4-H career as a young girl in 1977 and continued as an Ozaukee County 4-H’er for 12 years until she graduated from 4-H in 1989. She was a member of Deckers Corner 4-H Club and Town and Country 4-H Club. As a youth, she participated in many club, county, and state events. Upon finishing her youth 4-H career, she immediately became an adult leader and has continued in this role for 29 years. She truly is an example of “Once a 4-H’er, Always a 4-H’er”! Lynn is a project leader and co-general leader of Town and Country 4-H Club and a member of the Leaders Association Board for the past four years. As a Board member she was Vice-President, Chair of the Leader’s Banquet Committee, a member of the award trips interview team, entertainment chair of Bunny Breakfast, a member of the audit team, and worked closely with the Youth Educator to set up the annual 4-H calendar of events. When her three year term on the Leader’s Board ended in 2015, she agreed to take on an extended year and was elected President in 2016. Lynn is also a co-leader of the Ozaukee County 4-H Dog Project. This project has become very popular and many project youth attend the State Dog Show. 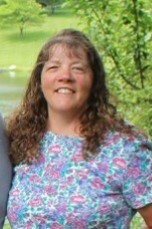 Lynn has helped at the Haunt since it began in 2007 and is currently the Treasurer of the Haunt Committee. 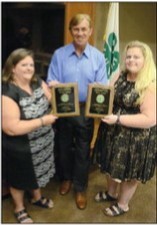 This past year, Lynn volunteered to take on the 4-H Business Awards for fair. She graciously gave of her time getting these business donations set-up, organized and out to the youth. Lynn’s greatest achievement has been the re-establishment of Ozaukee County 4-H Camp. After joining with other counties for several years, the Leaders Association Board decided in 2013 that Ozaukee County change the routine and establish our own camp. Lynn stepped up to be the sole Director and has continued in this role ever since. She works very closely with the Youth Educator, camp staff, and junior directors for months prior to camp to plan a safe, educational, and most of all, fun camp. She treats the adult and youth staff as well as all campers with respect and is determined to provide a very memorable camp experience for all. Under her leadership, camp attendance has grown from 48 to 126 youth in 4 years. Lynn Neumann lives and breathes 4-H and is a strong advocate for today’s youth. She believes in the good of all children and young adults. She encourages everyone to display the strong values of 4-H’er. Her passion for youth, eagerness to help others, and willingness to serve benefits us all. Congratulations Lynn on being chosen for this well-deserved award! Roger has been an Ozaukee County 4-H leader for 9 years. He is a co-general leader of the Town and Country 4-H Club. As an adult leader for Town and Country, he has willingly taken on specialty projects and events like parades, the Town and Country hosted rummage sale, the Achievement Banquet, and family Chinooks Game Night. Roger is a Leaders Association Board member, a member of the 4-H Historical Committee, and Chairman of the 4-H Assets Committee. He is also an active member of The Haunt and the Bunny Breakfast Committees. As a member of the 4-H Assets committee, Roger volunteered to research storage facilities in Ozaukee County to store the numerous supplies and equipment belonging to the Leaders Association. He is solely responsible for the storage shed and eagerly meets leaders and/or the Youth Director at the shed to facilitate the pick up or return of items. He has kept an inventory of these supplies to ensure replacement of disposable items and to alleviate duplicate purchases. Roger recently built shelves to organize the supplies and equipment stored in the shed. These items range from supplies for 4-H Camp, Cloverleaf Cafe, Bunny Breakfast, County Fair parking, Remote Control Car Project, Fair Activities, Jack-o-Lantern Jamboree and more! Roger has been the County Fair Parking Chair for many years. He recruits clubs and 4-H youth and adults to help park cars over the course of the five days of fair. Each day he heads over to the Fairgrounds to set up, retrieve parking money, and take down the parking signs and equipment. Roger then distributes the money raised to the participating clubs. The time and effort he puts into working with all the clubs during fair parking is amazing and countless. Roger also heads the parking committee for The Haunt as well as being on The Haunt crew for the past 9 years. Roger is a quiet but moving force, he takes on a wide range of projects and manages them very well. Roger takes on any task he is asked without complaints or excuses. He always has a smile on his face and is eager to help others. He is a strong contributing member of the 4-H Leaders Association Board. Roger works very hard to encourage today’s youth and continues to set a fine example for others. Ozaukee County 4-H is very fortunate to have Roger give so selflessly of his time and talents over the many years. Roger Knepprath is very deserving of this award and we congratulate him on his dedication to Ozaukee County 4-H! 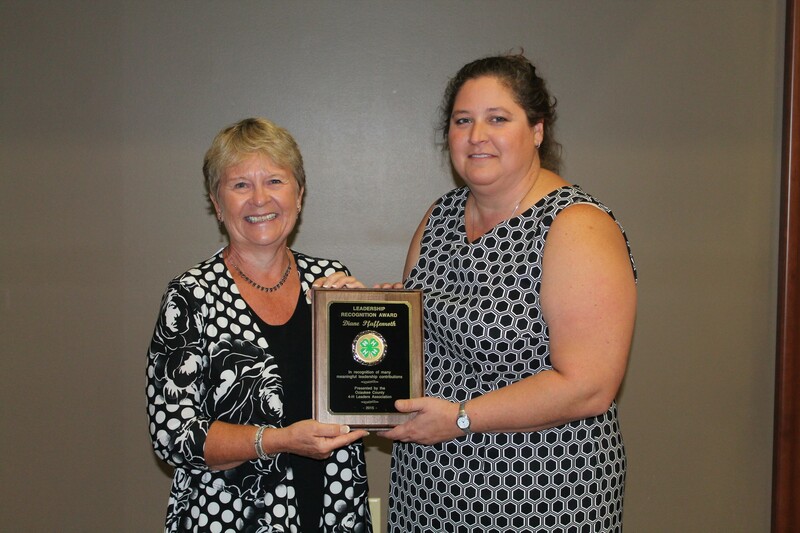 Diane Pfaffenroth has been an invaluable leader for Ozaukee County 4-H at the club and county level throughout the past 17 years. Beginning by showing Guernsey cows, Diane (nee Kaul) grew up into a 4-H family in Grafton and has been an active member of the Cloverleaf 4-H Club since she was a child. Diane and her husband David passed the 4-H tradition along to their children Jake, Lucas, Molly and Lauren, all of whom were very active members. Although their 4 children have long graduated from 4-H, Diane continues to give her all to the Ozaukee County 4-H program. Diane has worn many different hats as a 4-H Leader, always being enthused to step up and take on roles wherever and whenever her skills and passion for youth have been needed. She has served as a Cloverleaf 4-H project leader for Home Environment, Foods, and Arts and Crafts, and she has played an important role in many diverse club functions and service projects throughout the years. Diane is so supportive of 4-H youth, always ready to give them a hug and with a huge smile on her face. At the county level, Diane has headed the Jack-O-Lantern Jamboree for the past 9 years, a popular annual event that requires immense planning, organization and dedication. Diane also devotes countless hours of her time as a 4-H Haunt volunteer, 4-H Camp adult leader, Bunny Breakfast committee member, International Foreign Youth Exchange (IFYE) Raffle chairperson and other various roles. During the Fair, you can find her working as a judge’s helper, a clerk, or co-chairing the 4-H Activity Stations in the Ozaukee Pavilion. She currently serves on the Ozaukee County 4-H Leaders Association Board and has served as the Ozaukee County 4-H Foundation Liaison. Diane has become a very trusted, reliable and important leader for Ozaukee County 4-H, and she always gives 100% to organize events. Diane’s passion for youth is not just limited to 4-H; Diane served her community as a full-time kindergarten teacher for 40 years in Saukville. Although retired, Diane continues to enjoy substitute teaching and is also very active in her church and local community. Diane is a gem for Ozaukee County 4-H. She is a lifelong 4-Her who brings many years of passion, dedication and energy to the program. 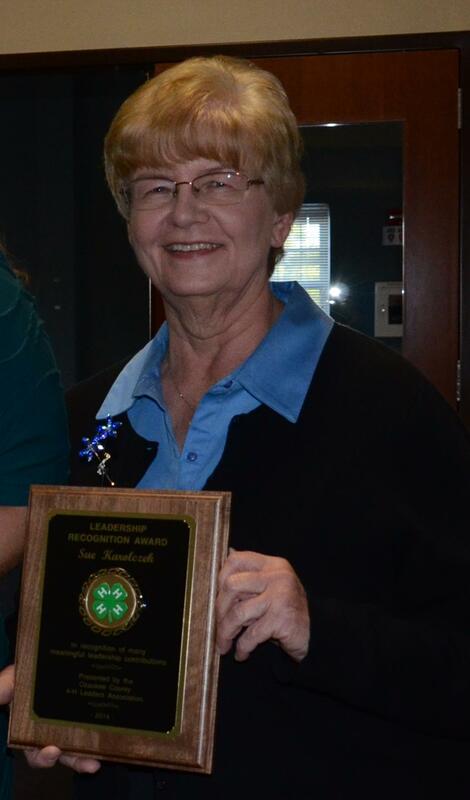 Her warm heart and willingness to serve her community are inspiring to both members and leaders in Ozaukee 4-H. Diane very much deserves this year’s Leadership Recognition Award! Kurt and Cary Schoessow have been active in Ozaukee County 4-H for most of their lives. Cary (nee Rathke) was an active member of Little Kohler 4-H Club, especially in the Beef Project. True love blossomed in the old Beef Barn where she met Kurt Schoessow from Lindenwood 4-H Club. The two married and had three children: Casey, Kallie & Jessie-born & raised in Lindenwood 4-H Club. They have remained heavily involved in Ozaukee 4-H.
Cary is a former Co-General Leader with Lindenwood. She has been a Project Leader for 23 years, is the current Leathercraft Leader, and has organized the Club’s Variety Show Acts for over a decade. She has helped with the Recruitment Fairs. Cary also donates much of her time and talents through her business: Letters & Signs, to the 4-H Program. She is a quiet, humble volunteer who works behind the scenes at sales, performances, and many other 4-H events. Kurt has been the Beef Project Leader for the last 7 years. He has also served as the Livestock Association Vice President and President, planning out the events & education for the Livestock Program throughout the year. This demands much time, organization and commitment. Their family has been heavily involved in the Livestock Auction for many years, assembling a committed group of youth and adults to carry out the many facets of the Livestock Program, including running a successful Auction. Outside of 4-H, they are very active in their church and with the Farm Bureau. Kurt is an employee with the city of Mequon. Cary runs her business-Letters and Signs. They both continue to farm and raise beef cattle on their family farm in Mequon. Its families like theirs, with their passion & dedication, that keeps 4-H and the Fair valuable in the community. Without their continued efforts, our 4-H youth would miss out of the examples they set: dedication, loyalty, friendship, faith, the value of family, and the need for hard work. Their smiles and efforts, and their children’s growth through 4-H, are a true testament on how 4-H unites and bring communities together. Congratulations on being very worthy recipients of this year’s Leadership Recognition Award! Along with all the work that Jody does for the Lindenwood members as a General Leader, she is extremely active at the county level. 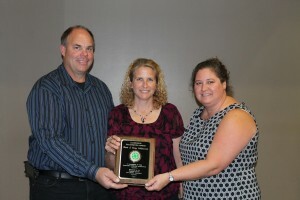 Jody has contributed endless hours to benefit Ozaukee County 4-H youth for many years. She is serving her second three-year term on the Leaders Association Board, and previously has served as sole advisor of the 4-H Ambassadors. Jody also works tirelessly on the Haunt Committee, the National 4-H Week Library Exhibits, and organizes the Recruitment Fair in the southern part of the county. 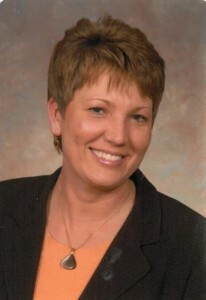 Jody also serves on the Ozaukee County Fair Board. Jody truly deserves this award. She lives and breathes 4-H, not only in her club, but in her community and state as well. She readily accepts challenges from both adults and youth. She willingly steps in when needed and has been vital to a smooth transition in Youth Educators in the past few years. Not only does Jody play a major role in the success of the Ozaukee County 4-H Program, she instills enthusiasm, excitement, and positive growth of character for today’s youth. We are proud to recognize Jody with the Leadership Recognition Award. 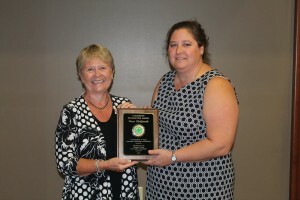 Sue has been active in the 4-H Program for 26 years. She has been involved as a Project Leader and as a General Leader for Covered Bridge 4-H. She has helped with many 4-H Open Houses and most recently the Recruitment Fairs. She puts in countless hours with the 4-H Haunt and Jack-o-Lantern Jamboree and is always encouraging the youth in her club to get more involved. Sue has stayed involved in 4-H, though both of her sons have long since graduated from the program. She promotes 4-H to everyone she comes into contact with. She is always willing to help wherever she is needed. While this applies to many 4-H Leaders, Sue sets herself apart in her genuine passion for the constant improvement of the youth, the families, the Leaders and herself. When fellow leaders were asked to describe her, the words “humble”, “helpful”, and “generous” were used. Sue Karolczek is definitely a long-overdue nominee for this honor. Brenda Mueller, of Jay Road 4-H Club truly demonstrates the phrase: “4-Her for Life!” Since the age of 9, she grew up as an active member of Knellsville 4-H Club, being heavily involved in Older Youth and Dairy. She married her husband Don and became a Macramé’ Leader for Holy Cross 4-H. She and Don raised 3 sons in (Dustin, Nathan & Matt) in Jay Road 4-H, one of them (Nathan) even being crowned Mr. Ozaukee! Her growth in 4-H continued into adulthood. Brenda has served Ozaukee 4-H in many capacities as a member, an involved parent and as an adult leader. She has been a Home Environment Leader and Co-General Leader of Jay Road 4-H for 17 years. She is also one of the Project Building Co- Superintendents for the Ozaukee County Fair. Brenda has also been heavily involved at the county level. She has selflessly given of her time & talents for many years with Ozaukee 4-H. She has served 2 three-year terms on the Executive Board of the 4-H Leaders’ Association, holding the offices of Secretary & President twice. This last term, she did not even have a child in the program! She has served on countless committees including Interviewing, Nominating, Constitution & Bylaws, and Fundraising. This past year, she was the sole member on the Fundraising Committee. She has also been on the 4-H Livestock Association Executive Board as Treasurer and continues to help every year with the 4-H Livestock Auction. Brenda continues to help wherever she is needed. She doesn’t wait to be asked, she always offers, filling whatever role needs to be filled. Whether it’s participating in countless community service activities, parking cars, working in the Food Stand, manning a table at the Recruitment Fair, setting up or cleaning up-she is there! Through this very challenging time on Ozaukee 4-H History, she humbly and diplomatically represented 4-H to the Agricultural Society and the County Board. She encourages youth and adults in the program to work together and continue their positive efforts all while actively working and promoting 4-H whenever and wherever she can. Both youth and adults enjoy working with Brenda. Her passion for 4-H is contagious and her work ethic, kindness, patience and perseverance are admired and appreciated by all who come in contact with her. Outside of 4-H, Brenda has been very active in the community. She enjoys crafting & crocheting. She and her husband have been heavily involved with the Random Lake Rod & Gun Club and the Cedar Grove-Belgium Wrestling Program. Her employer, BMO Harris Bank has also been a generous contributor to the 4-H Program. Her many years of dedication to 4-H and its future truly reflect Outstanding Leadership. Thank you, Brenda for your decades of service, and sincere congratulations on receiving the 2013 Leadership Recognition Award!